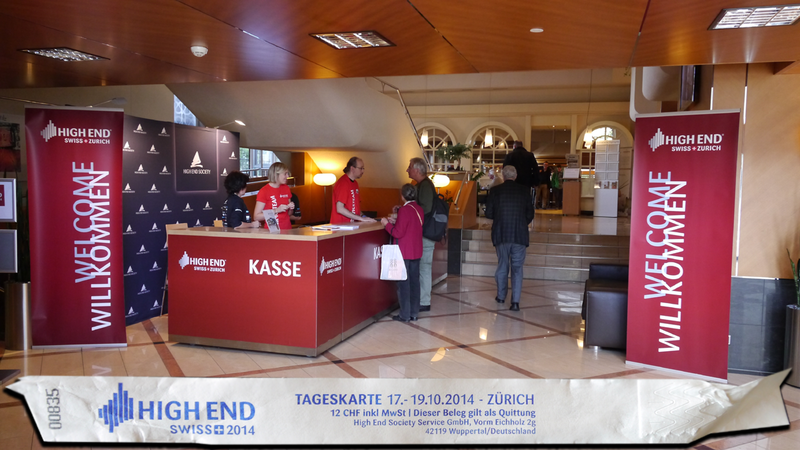 For its 6th installment, HighEnd Suisse organized by the folks of the Munich show asked, brethren where art thou? Representing the white cross not black hats, Boenicke, CH Precision, Colotube, darTZeel, Ensemble, Goldmund, Holborne, Nagra, Orpheus Labs, Piega, Rowen, soundkaos, Stenheim, SwissCables et al were notable by their absence. 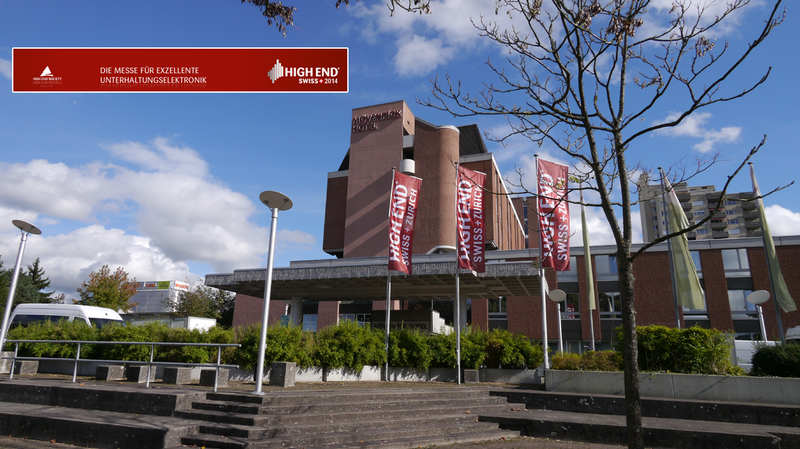 Of the main and not so mainstream Swiss brands, only Klangwerk, Revox, Soulution, Vovox and Weiss kept the faith with this shrinking regional event. In an inversion of the popular upstairs/downstairs theme of BBC shows like Downton Abbey, the most interesting finds this year were in the basement. Doing a leisurely walkabout after having spent nearly two hours with Walt Mollet of MAC Leisurewear in Zürich for a pair each of boots—a properly hand-tooled Mexican-made Old Gringo with braided seams ended up with Ivette, a Spanish-made Sendra for yours truly— we finished the show in two hours on opening day. The well-washed hordes were expected for Saturday, with hopefully some afterburn on Sunday. After paying our 12CHF/ea. for a day pass and ticking off the L-shaped upper floor whose majority of rooms are counterproductively small and routinely assigned without an empty acoustic buffer room to separate them for less sound leakage, we headed downstairs into the far bigger "serf quarters" for what I thought was the highlight of this event: Greek's Ypsilon Audio represented by financial boss Nikolaos Ofranakos. 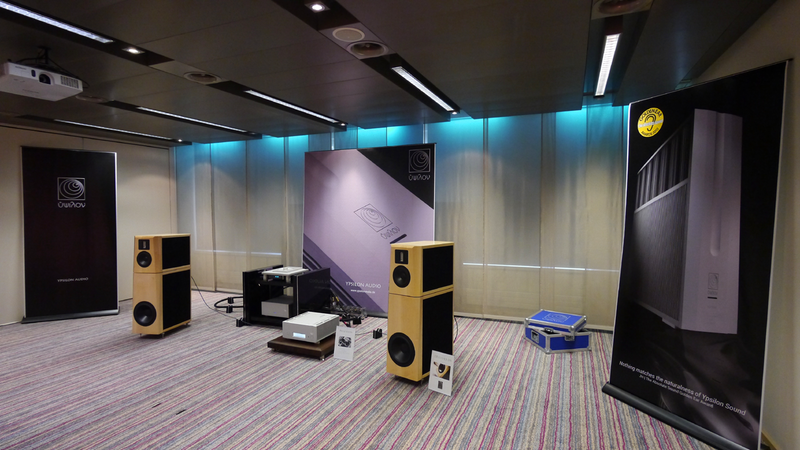 Not only were they showing the brilliant integrated Phaethon 110wpc integrated which had been previewed in Munich and should start to export by November, they also had their very first production speaker called Eratos built from 10-year old aged solid wood. 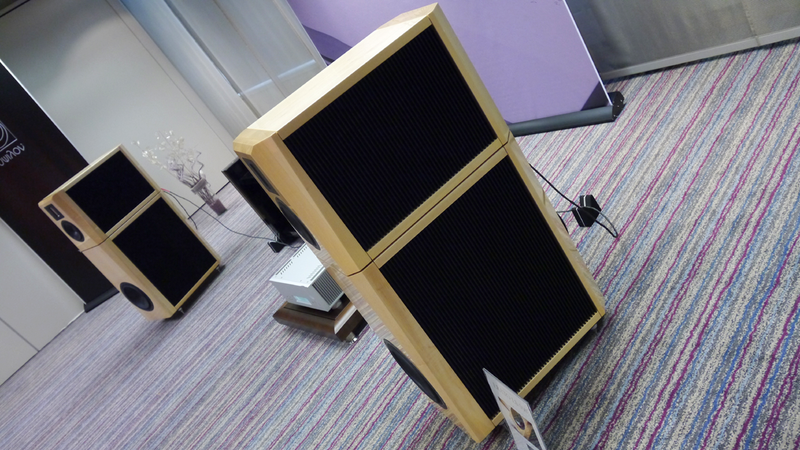 A docked two-box three-way, the pièce de resistance here is Ypsilon's home-rolled ribbon tweeter obviously tapped off their own transformer. Their designer claimed a colossal 15mm of linear excursion and a 2'900Hz crossover point with a for this driver type shallow filter slope of 12dB/octave. Having petitioned these folks for a review sample of the Phaethon already in Munich, I'll reserve sonic comments for the formal occasion later in the year except to say there's good reason why this exhibit opens my report. 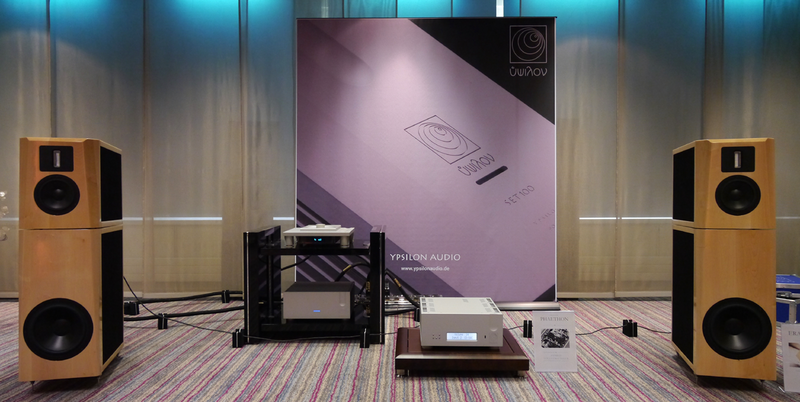 This top-down view of their VPS-100 phono stage shows off the company's core competency of transformer/coil tech. 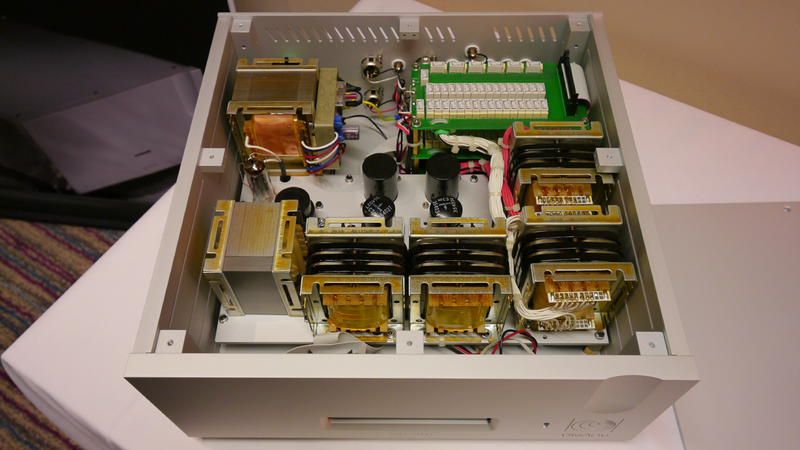 Here is a parting shot of the very simple but very effective system fed by their legacy CDT-100 CD transport forwarding analog square waves—which is how digital signal travels along S/PDIF tranmission paths—to their DAC-100 into the Phaethon integrated. This was the only room in which I requested to hear one of my own tracks. It was exceptionally refined and had the type of very pleasant softness without blurring one can get from superior transformers.